We provide heating and cooling emergency services. Our phone lines are open 24 hours a day, 7 days a week, 365 days a year. Call us today for cooling repair service requests or you can conveniently contact us online below. 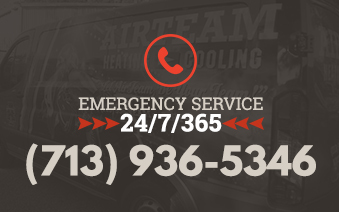 If you have a serious issue or emergency PLEASE call Airteam directly at 713-956-TEAM (8326).